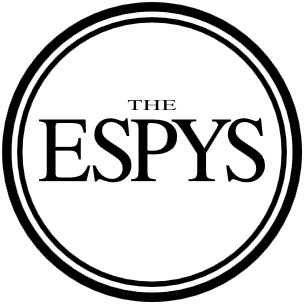 They are called the ESPY Awards and they are presented each year by ESPN to recognize individual and team athletic achievement…and other sports-related performances during 2013. The awards have been given out annually since 1993 and ESPN makes a big show of it with a well known Master-of-Ceremony, famous guest stars and production numbers in the style of the Grammies or the Emmy Award Ceremonies. From the beginning in 1993 through the 2004 ceremony, the ESPY Award winners were always chosen only by fans. After 2004, voters included sportswriters, broadcasters, sports executives, sportspersons, and sports ‘experts’ from the ESPN Sports staff. Eventual award winners are selected online by fan balloting which is conducted from amongst candidates selected by the ESPN Select Nominating Committee. These young ladies certainly presented us with a pleasant surprise at the Summer Olympics when they all posed biting into their Gold Medals in an emotional awards ceremony. These guys won the Super Bowl. What else can you say? Against all odds they knocked off first the Colts, then the Broncos and then the Patriots just to make it Super Bowl XLVII where they managed to hold off the San Francisco 49ers and take home the Lombardi Trophy to Baltimore. If you missed seeing these gals in action in 2013 you missed some great games. The Lady Sooners outscored opponents 51-8 in the Super Regionals and 28-8 in the College World Series. We all know about the Heat and their second straight NBA title. But, it was not that easy. LeBron James and company were in constant jeopardy throughout the playoffs… but they still managed to pull it off & LeBron won NBA MVP for 2013. What can we say here? Nick Saban and his Crimson Tide rolled over the competition (expect for Texas A&M) last year and made winning the NCAA national championship for the second year in a row look all too easy. It only took the Blackhawks 6 games to finish off a tough Boston Bruins team in the NHL finals this year. The Blackhawks were dominate throughout the series and finally took the Stanley Cup back to the ‘Windy City’ for another year.